Chinese smartphone vendor, OnePlus will release the OnePlus 5 in less than two months from now. A few rumours have revealed that the phone will come with noticeable hardware changes and the company will employ dual camera system at the back. 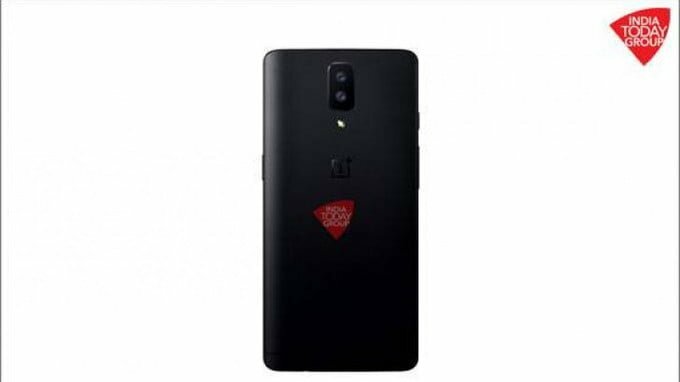 And now, folks at India Today Tech managed to achieve a press render of the upcoming OnePlus 5, which shows the dual camera system on the rear side of the phone. According to the render, OnePlus will place the two cameras vertically, with a LED flashlight below it. Also, the design of the phone seems to remain the same except for a noticeable change which is the absence of antenna lines on the back. The Chinese firm will be skipping the OnePlus 4, due to some superstitions in its homeland China which suggest that the number 4 symbolizes death. Other Chinese brands such as Vivo also skipped the number 4 and jumped to Vivo V5 and V5 Plus. The same will be the case with OnePlus as its 2017 ‘Flagship Killer’ will be called as OnePlus 5. OnePlus usually unveils their smartphones at the end of June and the company might launch the OnePlus 5 at the same time this year as well. It’s completely understandable that the vendor is not looking at the design change for their upcoming phone as the OnePlus 3T and 3 are one of the well-designed smartphones till date. But, the industry is moving towards bezel-less smartphones, and it’s interesting to see how OnePlus will cope up with the ongoing trend. For now, the OnePlus 5 is said to pack a 5.5-inch display with a resolution of 1440×2560 pixels. But, the company could go with the Full HD resolution as well, you never know. Continuing its tradition of packing high-end chipset, the OnePlus 5 will come equipped with Snapdragon 835 chipset, paired with 6GB of RAM. OnePlus may not go for 8GB module on the phone as other flagship phones are still packing 4GB of RAM. There will be dual camera setup at the back, but the implementation of the same is still unknown. The smartphone will run Android Nougat based Oxygen OS straight out-of-the-box. Are you excited about the launch of OnePlus 5? Let us know in the comments section below.